– Football is the ultimate team game and one player definitely does not make a team, but let’s just say we got a whole lot better this week when Dillon Campbell announced that he will be back for a fifth and final season with the Hawks. – Dillon was the OUA MVP last season and shattered many records along the way. View some of the highlights HERE. – I am more than happy to find a player in need for any of you newsletter subscribers. You may also have a specific position that you would like us to find a player for you. We are here to help facilitate. – We raised $33,000 last year as a team and can definitely surpass that this year – please help us better that mark this year! – Compete in everything we do: Guelph – Triple Victory Project, MAC – 13th Man Program, Western – Adopt-A-Mustang. We can definitely do more and raise more than these teams – everyone can help! 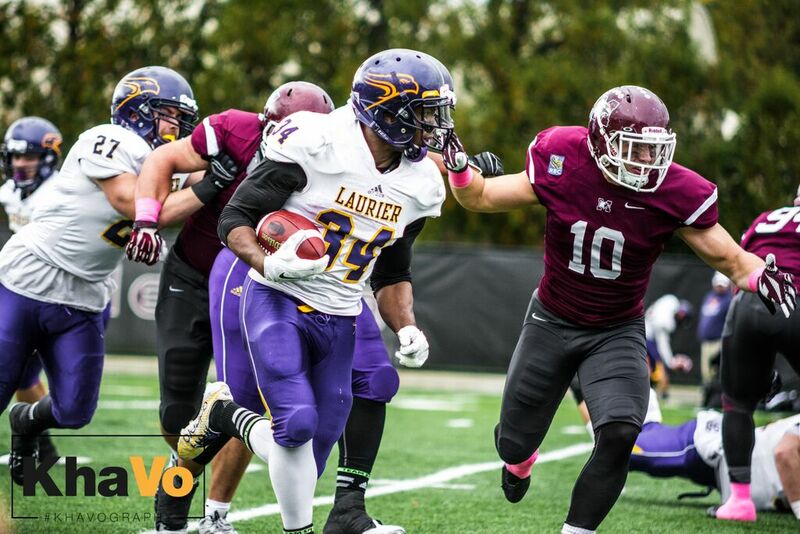 – Please check out the Homecoming Hype video courtesy of the Laurier Alumni office. This event is free to all alumni and there will be complimentary appetizers and beverage served. Those who are interested in attending can RSVP HERE. – Ticket prices increase on game day, so make sure you get them in advance. – Help us expand our subscribers list and send me mfaulds@wlu.ca the email address of anyone interested or simply register using the link in the sidebar, please and thank you!